NO. 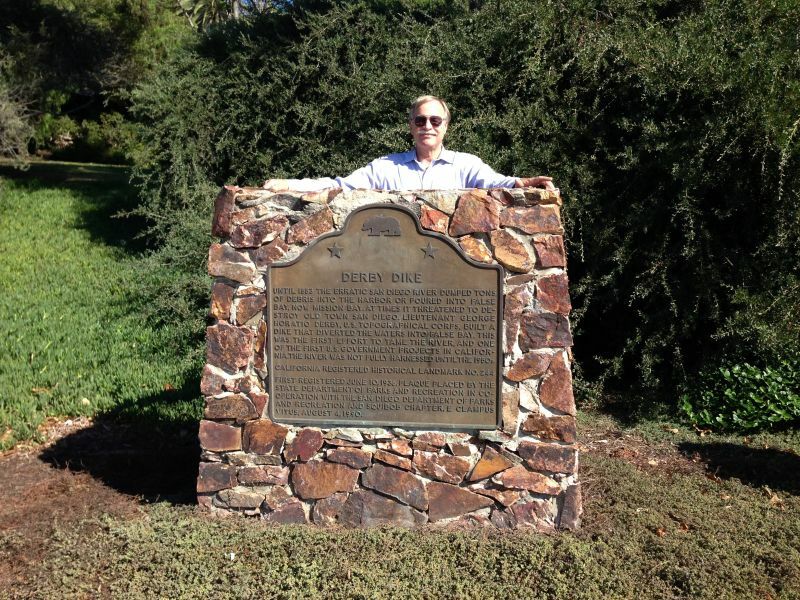 244 DERBY DIKE - Until 1853 the erratic San Diego River dumped tons of debris into the harbor or poured into False Bay, now Mission Bay. At times it threatened to destroy Old Town San Diego. Lieutenant George Horatio Derby, U.S. Topographical Corps, built a dike that diverted the waters into False Bay. This was the first effort to tame the river, and one of the first U.S. Government projects in California. The river was not fully harnessed until the 1950s. The dike failed in 1855.